Pick a Reading Partner for The One and Only Ivan! and then work as a team to fit the pieces together. Join us as the City of Little Falls, NY reads, "The One and Only Ivan." Join us for a month long reading event! See our calendar of events and read along with the page numbers listed. Or tune in daily to view recorded readings. There will be lots going on through out the month so follow our event to keep up on the details. Don't have a copy of the book? Don't worry! BHA and Little Falls Middle School families will be receiving a copy, the library is stocked with copies to borrow, and you can find the book for sale at the Little Falls Co-op! Be sure to download the event flyer for some fun activities at the Little Falls Public Library, Yoga and Wellness, Ruggiero's Trattoria, The Café at Stone Mill, the 410 Collective, Meeples Mug House, Community Outreach, Alpine, Fitness Farmacy, and Bental Hall Academy. 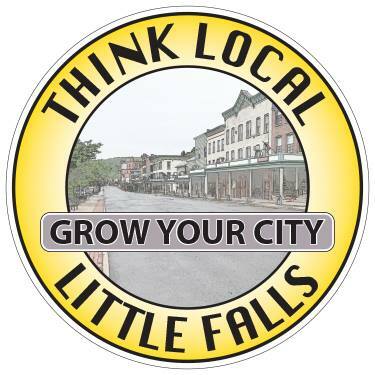 You can find more information at Think Local Little Falls. And you can find more events near you at Mohawk Valley Today!